My first book read in 2011, and I couldn’t be more pleased! I got my copy of The Kite Runner for about 50 cents at a library sale (gotta love cheap, used books!! ), and then didn’t see it for the first couple weeks as my roommate and bff Kayla had taken it hostage for awhile. After her rave review, I decided to put off finishing Love in the Time of Cholera (which I’ve been munching on for about 5 months now) and picked up this haunting tale by Khaled Hosseini. 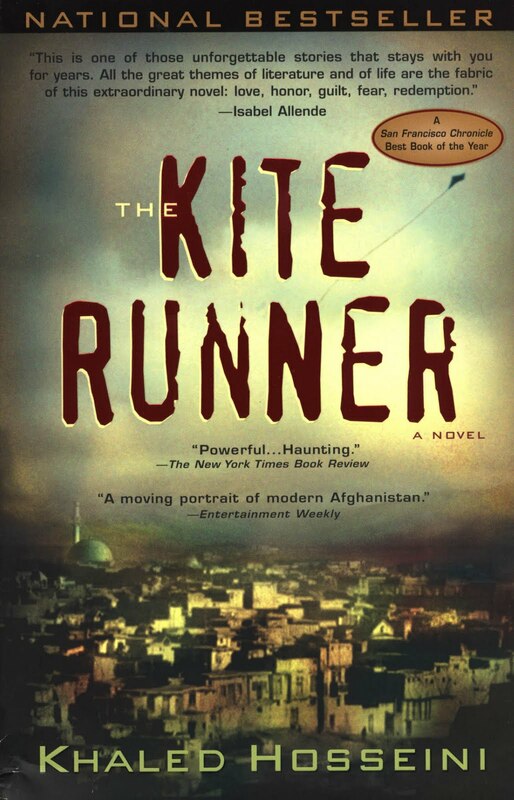 The Kite Runner follows protagonist Amir jan as he grapples with the tragic consequences of his own failure to act bravely for his best friend on a cold night in 1975. Amir jan and Hassan grew up the best of friends, but with a big difference in their status: Amir was part of the elite upper-class, with all the glory of family name and situation on his side. Hassan was the same-age servant who worked in Amir’s family home, where the two grew up almost as brothers. When Amir silently watches Hassan get raped and beaten up that frigid night in ’75, he is haunted by his failure to act and carries the guilt with him far into adulthood. However, after moving to America and being happily married for several years, Amir receives a phone call that could change his life forever…because it could mean setting things right. Interested yet? Well you should be. I often find it difficult to find a book where I love both the plot and the writing style, and I found both in this work of 371 pages. Although the novel is crippling in its sadness, the end offers just enough hope to make the whole read worth it. The main characters are well-fleshed-out and believable and the plot heart-wrenching and intricate (had I not been around people for the bulk of the time I spent reading this, I probably would have sobbed out loud, something that I haven’t done since reading the last Harry Potter). I barely even noticed how many pages the book had because I found myself flying through it, eager to read more. Now I know why Kayla had such a hard time finding a book to read after this–most anything else would seem trite and uninspiring after this provocative book of friendship and forgiveness.